Slow Cooker to the Rescue! Your 21-Day Fix is easier than ever when you fire up your crock pot! Healthy dinner is a constant struggle for most families. The hours between the end of work and bedtime are incredibly tight, especially when you add in evening activities and accommodating multiple schedules. Enter, your crock pot. If you haven’t already dusted yours off, do! It is your answer to easy, 21-Day Fix Friendly dinners your entire family will devour with your slow cooker. In a hurry to get started with your 21 day Fix? Head here to check out the 21 day Fix Plan now! Bacon and Cheese Crockpot Quiche (Engineered Creations): Loaded with veggies, this Quiche won’t feel like you’re depriving yourself in the mornings. This is perfect for overnight cooking or even brunch. Banana Nut Oatmeal (The Lemon Bowl): Throw these easy ingredients into the crockpot before turning in, and you will wake to an incredible aroma that will bounce you out of bed in no time. Pot Roast (The Fitness Focus): Pot roast is a crockpot classic for so many reasons – it’s delicious, healthy, and incredibly easy to throw together before you leave for the day. Stuffed Bell Peppers (The Recipe Critic): This recipe features decadent but healthy stuffed peppers that will become one of your family’s favorites. Flank Steak Fajitas (Successfully Fit): Irresistible fajitas become easier than you imagined with this reinvented slower cooker version. Pork Carnitas with Avocado Chipotle Crema (Healthy Feels Happy): Craving Chipotle? Your waistline will thank you for this 21-Day Fix approved version of your favorite! Crockpot Pork Chops (Lose it at Home): Use this recipe as a base for experimentation – add veggies, play with flavors, and add sides to this easy dinner. Sausage, Green Beans, and Potatoes (Recipes that Crock): So simple, yet so satisfying. Comfort food anyone can make! Paleo Crockpot Pizza (Healthy Feels Happy): Pizza, in the slow cooker? Yes! This version is loaded with veggies to keep you satisfied and on the Fix. Chicken Marinara with Basil Zucchini Noodles (A Happy Health Nut): If you haven’t gotten on the zucchini noodle trend, this recipe is a great chance to try them out! Even kids can’t resist. Balsamic Peach Crockpot Chicken (Sublime Reflection): The blend of flavors in this one will entice even the pickiest of eaters. A must try. Chicken Mushroom Farro Risotto (Lisahov’s Health and Fitness): Farro is an underrated grain that will become a staple in your pantry once you try this satisfying dinner. Cheesy BBQ Chicken Pasta Bake (Healthy Feels Happy): If you’re looking for a cozy dish of comfort food on the Fix, the name says it all. Spicy Pumpkin Crockpot Chili (Green Palate Life): Don’t limit your pumpkin meals to the fall only, try this one year-round. Mediterranean Eggplant Salad (Apron String): If you’ve ever paused over eggplant in the grocery store but were unsure how to use them, this one might convert you. Pair with rice or pita. Indian Spiced Chickpeas and Potatoes (Oh My Veggies): Embrace the multi-layered and deep flavors of India in this one-pot dish that brings out the best in these simple ingredients. Italian Tortellini Soup (Honey Bee Homemaker): Get creative with store-bought tortellini with this hearty and Fix-friendly soup. Cajun Sausage Soup (Fit For Me): Feel free to embrace the spicy kick of this dish or choose mellower flavors for tender palates. Vegetable Rice Soup (Spend with Pennies): This vegetarian dish is packed with veggies – friendly to your containers as well as your wallet. Sweet and Savory Stew with Pumpkin (Life’s a Plate): This hearty dish screams fall. Or winter. Or spring. Or summer. Pecan Stuffed Apples with Cinnamon Peanut Butter Sauce (The Foodie and the Fix): Yes, even a dessert with a name like this fits your Fix. Can you eat just one? Love these 21 day fix recipe (21 day fix crock pot recipes) ideas? 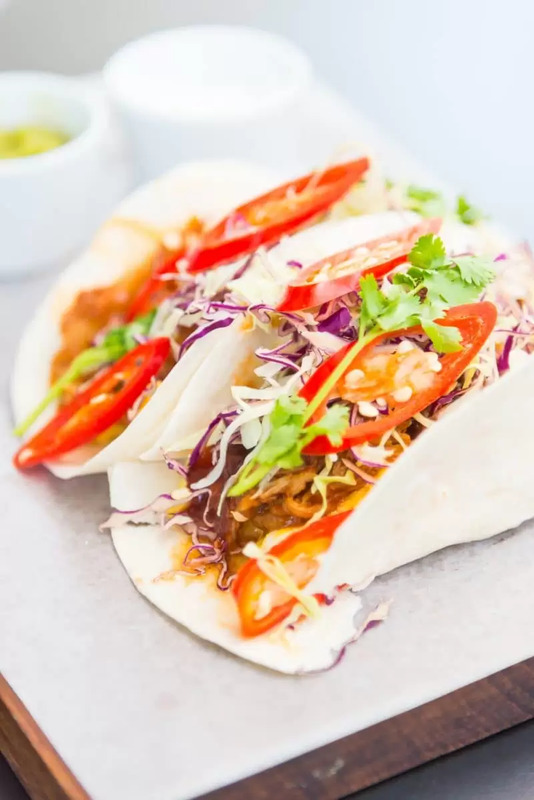 Do not forget to try these totally healthy and delicious 21 day Fix Lunch recipes or learn more about the 21 day Fix Guidelines here.